"Let's head to Richmond for eats!" I said convincingly to Gordo and Apprehensive Guy. Hey, we had just finished up a late night game at Sunset, where there were no good eats nearby (well, late night that is). The look of confusion on Apprehensive Guy's face was obvious. I convinced him that Richmond was not too far and there would be better eats to choose from. Look at me... Convincing people to head to Richmond... What's next? Moving into Richmond? Hahahaha... If I drove a tank... 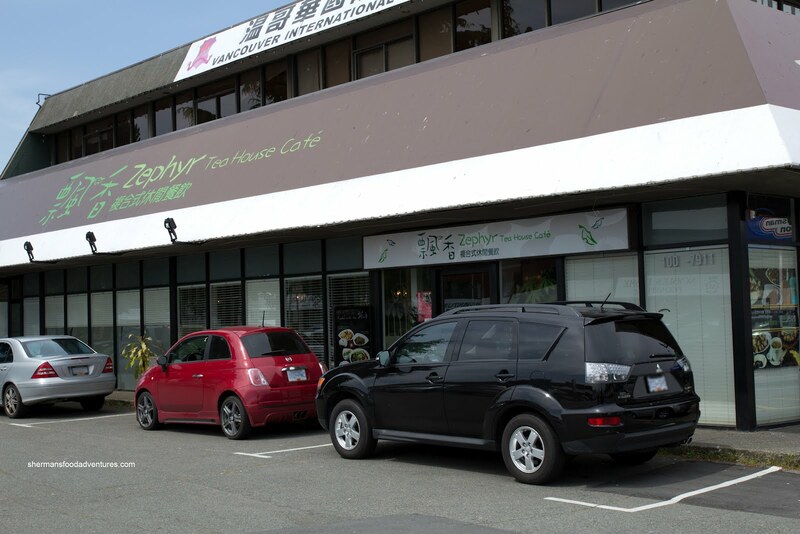 So, we ended up going to a place that he suggested, which was Zephyr Tea House Cafe. Now, I knew about Zephyr, but never really figured out where it was located. Well, the fact it is pitch dark at night doesn't help the cause. Maybe some lighting around the restaurant might help? Anyways, as with most visits to a Taiwanese joint, I started with the Spicy Mixed Beef Platter, which was not really all that big. Rather, it looked like a small plate. It was a mix of sliced beef shank and tripe. It was slightly spicy with lots of garlic and cilantro. There was good flavour which might be attributed to MSG. 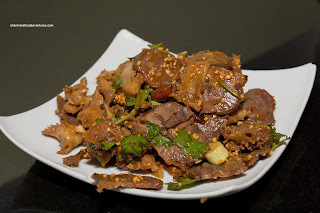 The texture of both the tripe and beef shank were pretty spot on being chewy in a tender kinda of way (if that makes sense). I also talked Gordo into sharing an order of Popcorn Chicken (which is really the salty peppery chicken nuggets). This was not bad in terms of the chicken meat. It was all dark meat and hence, it was mostly tender and juicy. As for the flavour, it could've been more impactful. I found it underseasoned. It was crispy though and not greasy. 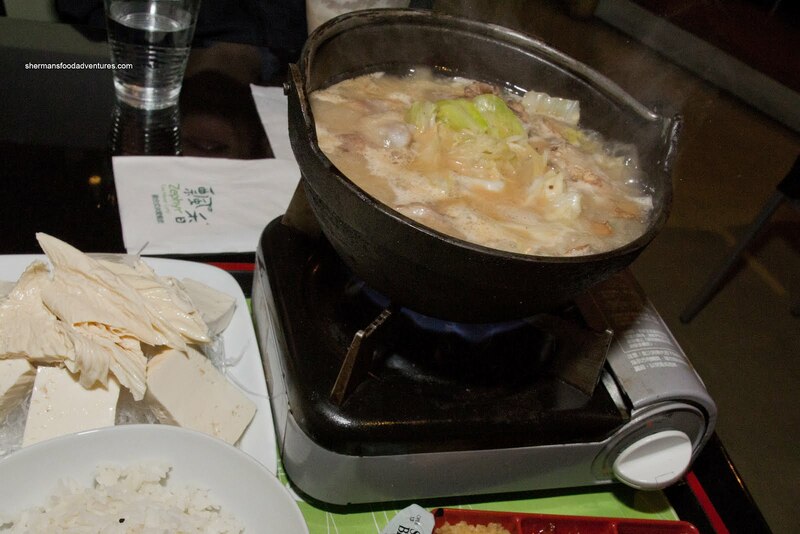 For my main, I had the Sesame Oil Chicken Hot Pot. It was served bubbling hot on a portable gas burner. On the side was vermicelli, tofu and bean curd stick (to be cooked in the hot pot). Three condiments were included: satay sauce, hot sauce and minced garlic. I thought the hot pot was pretty decent in terms of the chicken broth. It was flavourful (probably MSG), yet not exhibiting a whole lot of sesame oil. 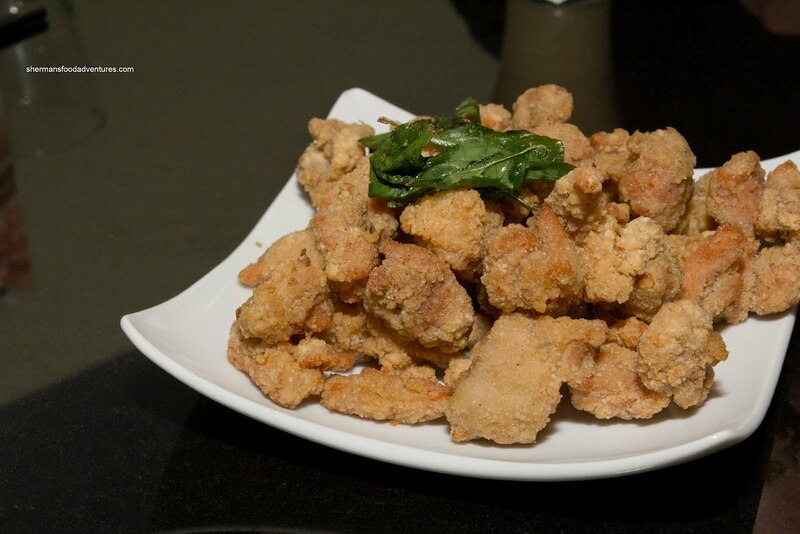 The chicken was in large chunks and sufficiently tender for boiled meat. 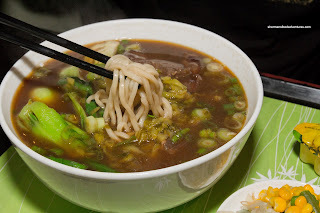 Gordo had the Beef Noodle and the soup was on the weaker side. There was flavour, but it didn't offer up anything to make me remember it. The noodles were al dente though while the meat was tender, albeit in small chunks. Furthermore, he was a bit disappointed at the portion size compared to a place such as The One (he lives near it and frequents it a lot). To be fair, The One charges more money though. 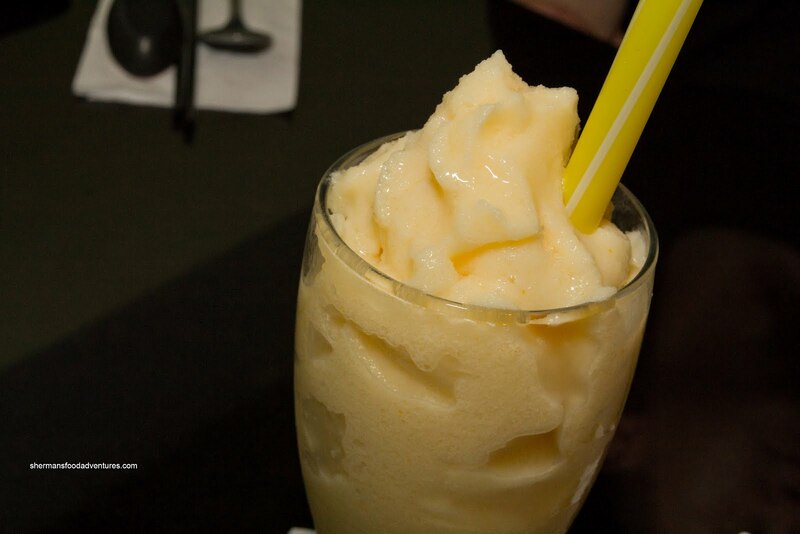 And much like comparing to The One, his Mango Slush was only modest in size. Now with that being said, it wasn't exactly small either. I gave it a try and it was pr etty typical. It was blended quite smooth and there was a decent amount of flavour. Not much to complain about here. In the end, it was a pretty typical experience at yet another Taiwanese late night spot. I'm not trying to sound ho-hum about it, however, there was nothing really to be disappointed about nor was there anything to get excited about. I wouldn't necessarily return during normal dinner hours, yet it is definitely an option late at night.